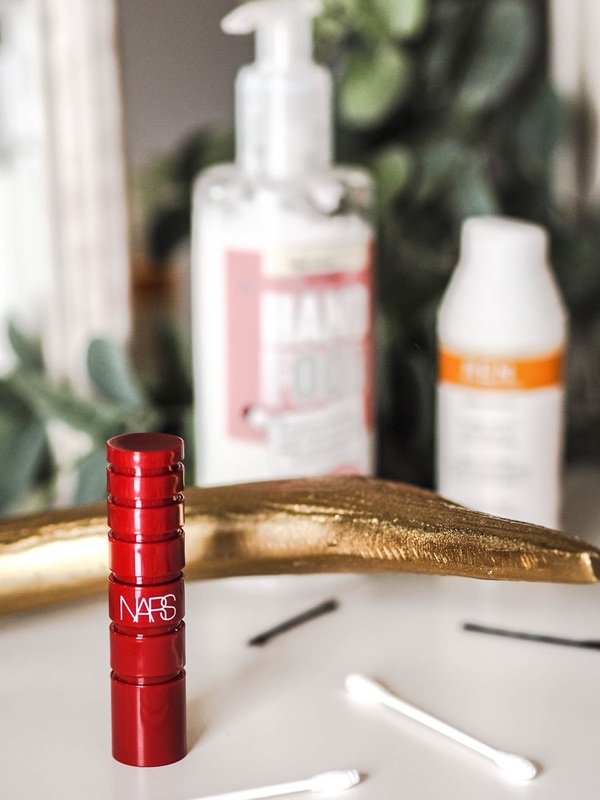 I love a good winter beauty regime, ok, this post isn't so much a regime but just some of my favourite products I have been using this January. My hands get so dry in the winter, although more recently it has been an all year round sorta thing. 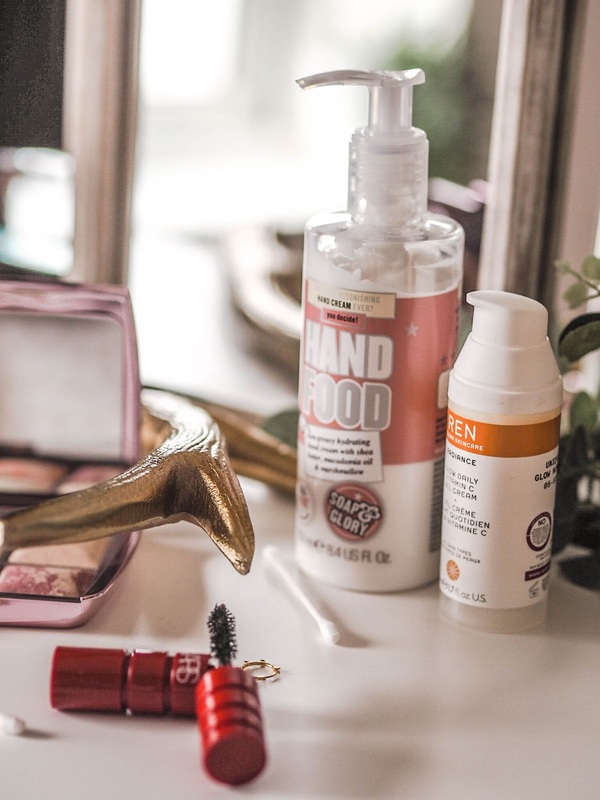 Soap and Glory's Hand Food is literally the only thing that is keeping them from resembling something you might find in the Fantastic Beasts and Where to Find Them films. I actually got this full sized version in the Soap & Glory Zuki X S&G Bubble Act, which you can read all about here. REN Glow Daily Vitamin C Gel Cream was actually gifted to me before Christmas and I have been using it non stop since. I use it before bed and first thing in the morning under my makeup. In the winter I find that the sensitive area around my eyes gets so dry and this is the only thing that really sorts them out and helps with that Monday morning fatigue feeling. You can read my full review here. I read up a little bit on the new NARS Climax Mascara before purchasing, and suffice to say the reviews were glowing. I love a good mascara and this one really lived up to the hype. Like with most makeup products I purchase nowadays I love to buy the travel size. Call it a savvy investment if you will, but if I can't try the product firsthand, the cheaper travel size is the next best thing. Ahh this has to be my makeup purchase of the whole year... yes, I know it's only January, but I doubt I will be making such a big investment again anytime soon. 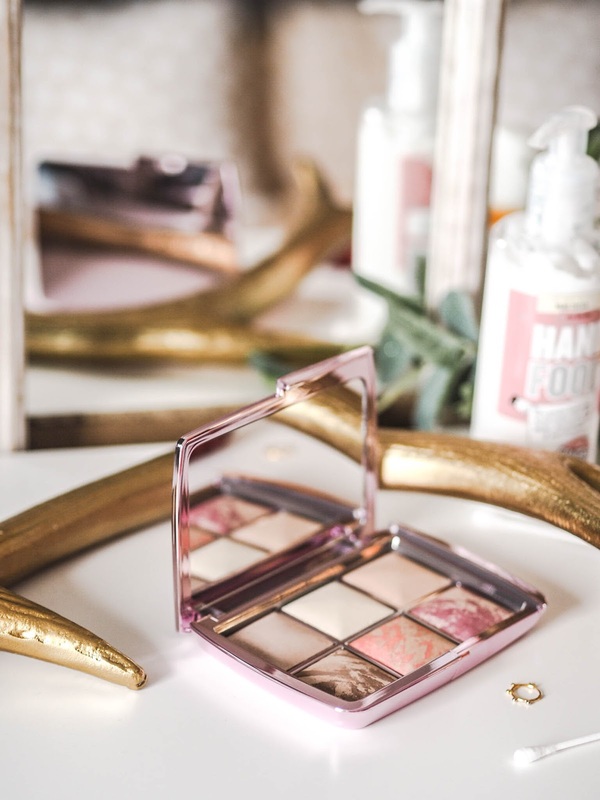 I first talked about the Hourglass Ambient Light Edit, Volume 4 in my New Year haul and I have recently had the chance to really get to grips with it. I may do a full review of it soon, but I have been pretty pleased with the results so far. It's a bit more subtle than I expected, in fact, when I first used it I was bitterly disappointed, but actually I am starting to embrace it's totally natural enhancement. I can't believe I didn't take a picture of my Blistex Lip Brilliance Lip Balm. This balm has saved my lips this season, plus added a pop of colour to boot. I can't recommend this product enough. My lips have been far too dry for any lipstick, so this has been the next best thing. Don't you just love it when an off the cuff, unplanned purchase becomes one of your go to's for life? Same.